The Supreme Court today said it would ban registration of diesel vehicles having engine power of more than 2000 CC like the SUVs and luxury sedans till April 1 on a trial basis. The rich cannot be allowed to move around in expensive diesel vehicles when they can afford petrol vehicles, Chief Justice T S Thakur noted. The court also indicated to the Delhi government, MCD and toll contractors that it would double the environment compensation charge from existing Rs 700 to Rs 1,400 for light vehicles and 2 axle trucks and from Rs 1, 300 to Rs 2,600 for 3 axle trucks and 4 axle trucks and above which enter Delhi and spew poisonous fumes. Though the toll contractors and MCD said the present charges itself had resulted in 30 % decrease in entry of non-destined trucks to Delhi, the judges were of the view that the fine would be a “proper deterrent” only if it was doubled. The bench said the government shall use the money to improve the environment, augment public transport, improve roads and make extra facilities for pedestrians and cyclists as was mentioned in its earlier order. “Even though alternative routes are available for such traffic, only reason for such traffic entering into Delhi is to save higher rate of toll tax in taking such alternative routes. 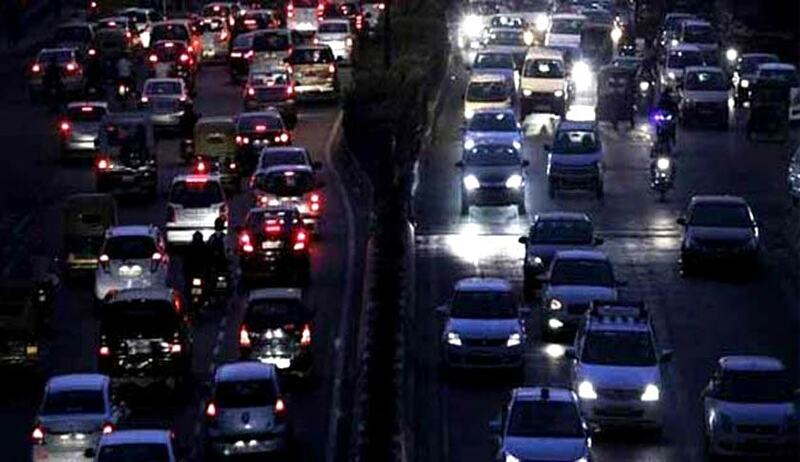 In the process, pollution caused by such traffic inflicts heavy cost on the health of the residents of Delhi. If you are not destined for Delhi, then don’t come. If you come, be ready to pay the heavy tax”, the bench said. The Supreme Court is also likely to suggest alternatives routes which can be taken by such non-destined trucks and ask the toll operators at city’s nine entry points to display them prominently for the benefit of the truck drivers. The Chief Justice- led bench said it would order that trucks and light commercial vehicles registered before 2005 will not be allowed to ply through Delhi and also make it compulsory for all taxis in the national capital to convert to CNG. The court was acting on detailed recommendations submitted by amicus curiae (senior advocate assisting the court on an issue) Harish Salve and NGO Centre for Science and Environment represented by its Director General Sunita Narain. The court was also hearing a PIL filed by Arvind Gupta, an economist who sought complete ban on diesel vehicles in Delhi. Read the LiveLaw Story and Petition here.